What Do Jack Welch and Suzy Welch Say About 10-10-10? 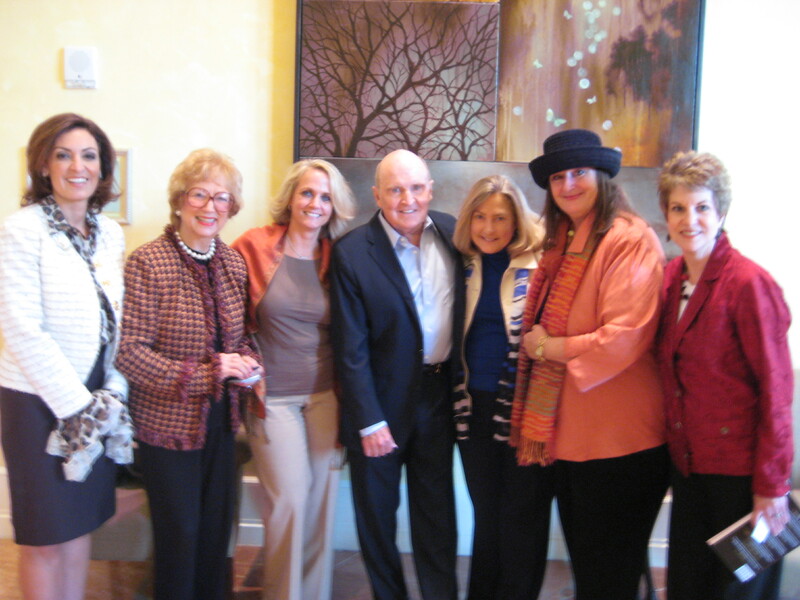 After meeting Jack and Suzy Welch at the PINK luncheon in Atlanta and hearing them speak, I know why their co-authored book Winning and her new book 10-10-10 are POPing off the shelves. Suzy showscased each point with a real-life example, re-creating each scene with back-and-forth dialogue so we felt we were “there” as the story unfolded. Yikes. What to do? Well, that’s where the 10-10-10 process comes in. Check out Suzy’s book for the rest of that story (pages 4-7) and to apply her valuable process to a dilemma you’re facing. As to the photo with this blog post, that’s Suzy Welch (former Editor of Harvard Business Review) on the left, Betty Siegel (25 year President of Kennesaw State University) Paige Hall (CEO of About Face, the turn-around specialists), Jack Welch (former CEO of GE), Marilynn Mobley (Strategic Counsel for Edelman), Sam Horn, and Kimberly Douglas (a client who was celebrating the launch of her book The Firefly Effect that day).